Outdoor beer gardens give you the opportunity to appreciate everything great about a pub while enjoying some much needed fresh air. Miami´s sunny weather and warm temperatures make it an excellent location for these establishments and have allowed many of them to pop up around the city. With this in mind, we've rounded up a few of the best beer gardens in Miami so you'll know exactly where to go next time you're out with your buddies. Located inside the lovely New Hotel Miami in Miami Beach. Blue Beer Garden offers customers a wide selection of drinks that range from brewed beer to handcrafted cocktails. It also serves amazing dishes and enjoys a laid-back atmosphere for anyone who's coming back from the beach or just in town for a good time. The bar is open from 5 p.m. to 2 a.m. and even features an awesome swimming pool so you can further appreciate this unique beer garden experience. Although it's considered as one of the most popular beer gardens in Miami, this gastropub in Wynwood is also famous for serving top-quality meats, signature entrees, and other German and Eastern European dishes. If you're coming in for the booze, The Butcher Shop offers a full liquor bar complete with 14 drafts and 19 bottled beers that customers can savor in their delightful garden. The outdoor area features graffiti walls reminiscent of the Wynwood Walls and charming lighting decorations. Just like its motto implies, Brick is not your average bar. Brick is another one of the best beer gardens in Miami providing an impressive urban décor in their Wynwood location as well as a wide selection of craft beer and cocktails. The bar usually opens at 5 p.m. Wednesdays through Sundays and closes at 3 a.m. The pub also has incredible happy hour deals and likes to highlight local musicians and artists with their nightly live entertainment. It's a great place to chill and hang out with friends while testing out beers from their collection of over 50 crafts. Thanks to its lively atmosphere and friendly staff, Garden Food and Bar has become a prominent hangout spot for Wynwood locals. Their weekly live entertainment and happy hour specials allow customers to enjoy a good time without having to spend as much as in other places. Their food menu features a variety of typical American dishes and some delicious Venezuelan classics like tequeños and arepas. On Fridays, make the most out of their two-for-one deal from 5 p.m. to 12 a.m. and free drinks for the ladies! Finishing up our list is The Raleigh Miami Beach's monthly beer garden event. Every third Thursday of each month, customers are able to enjoy fun games, craft beers, and BBQ bites at this famous Miami Beach Hotel! 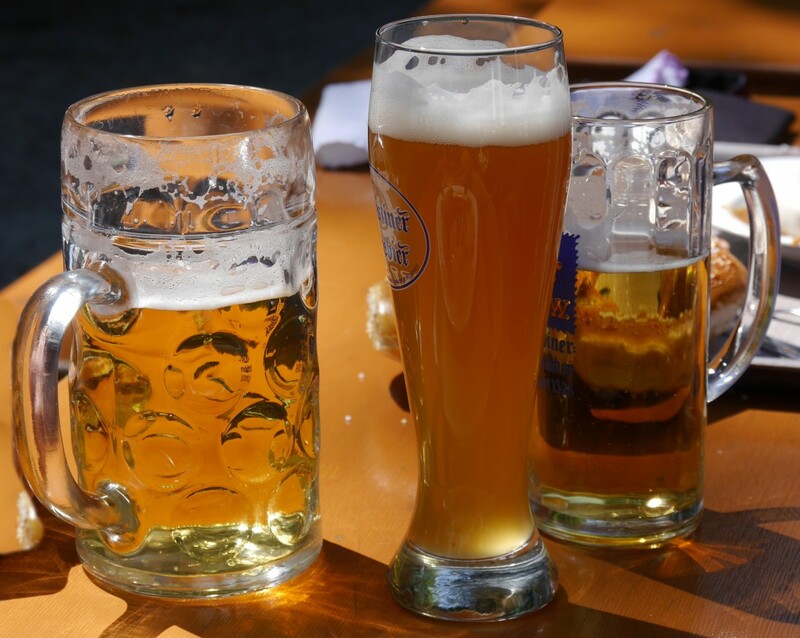 Food, drinks, and a relaxing outdoor setting are what awaits you at the best beer gardens in Miami. Be sure to check them out and let us know what you think of them by commenting below. To keep yourself updated with the hottest bars and clubs in Miami, don´t forget to sign up to our free guide to the city at 305area.